We have undertaken thousands of sound tests on many types of projects that that require sound testing such as blocks of flats, HMOs and semi-detached houses. These may be new build or conversion projects, such as an existing office which has been converted into flats. There is lots of useful information within a section in Building Regulations called “Approved Document E” this document provides details on the building regulation in England and Wales for the resistance to the passage of sound and sound insulation for flats, houses and rooms for residential use. It can be hard to know how you need to prepare your development, to try and help our clients to prepare for their sound testing we have prepared our Sound Testing Checklist. How Many Flats need to be Sound Tested? Approved Document E states “Building control bodies should stipulate at least one set of sound tests for every ten dwelling houses, flats or rooms for residential purposes in a group or sub-group” – but this is more complex than it seems at first glance, and is often wrongly interpreted as 10%. If the flats on the development have several different construction types, you may need more than the one set of tests in ten stated above. 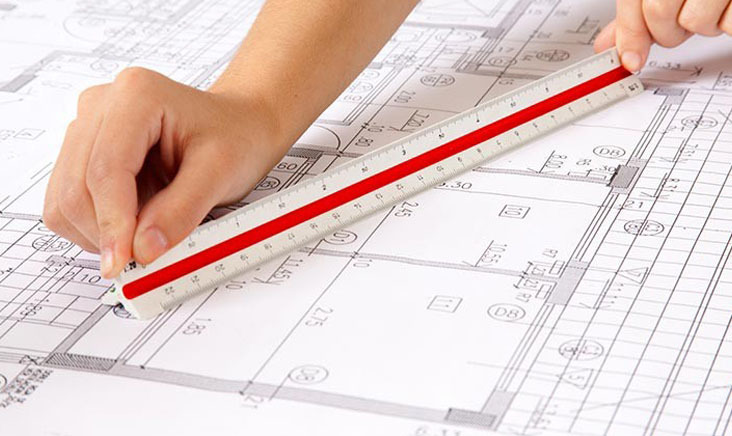 Sub groups can be quite complex and we advise letting us looking at each project individually to establish whether your project’s construction type means you’ll need additional testing. APT sound testing are always happy to take a look at your project on an individual basis to help ensure you are booking the correct number of tests to ensure compliance with Approved Document E.
What rooms require sound testing in my flats? Although there is no requirement to test between common areas such as stairwells, corridors and hallways, if no suitable rooms are available then building control may insist that a test is carried out between a stairwell and bedroom and/or a bedroom and bathroom. 2. All window and doors must be fitted and working correctly. A substantial amount of noise can leak through any gaps and can have a negative influence on the final test results. 3. All electrical fittings must be completely in-place, and fully functional. Poor electrical installation such as missing sockets/faceplates down lighters etc. can lead to excess noise. 6. The building skirting should not touch the floating floor and flanking strips used as and where required. 7. All gaps in the walls and floors should be sealed with acoustic mastic etc. Noise can leak out through any gaps and affect the movement of sound and impact on the sound insulation performance. 8. Access to all of the rooms on all levels should be granted to our technicians – also in occupied neighbouring properties where required. All site noise sources such as building work, radios and fire alarms should be stopped for the duration of the test. The above points are all essential if we are to achieve accurate sound test readings. If any of them are ignored, there is a risk of you either failing your test or – at worst – not being able to complete it, at which point you may still be charged 75% of the test fee. All doors and windows must be fitted and working correctly. A substantial amount of noise can leak through any gaps and influence the test results.